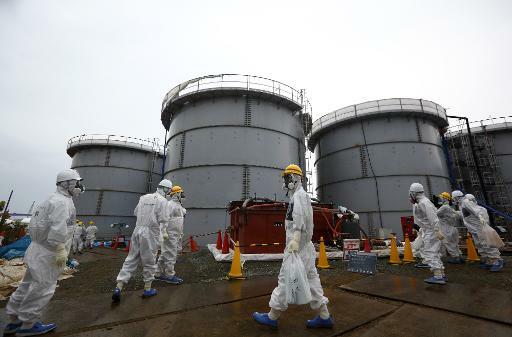 Tokyo (AFP) – A trouble-prone system used to decontaminate radioactive water at Japan’s crippled Fukushima nuclear power plant was switched off Sunday because of a chemical leak, the plant’s operator said. The leak was found at one of three Advanced Liquid Processing System units designed to remove radioactivity from contaminated water at the plant, where a massive earthquake and tsunami in March 2011 sent nuclear reactors into meltdown. Thousands of tonnes of water, used since the meltdown to cool reactors or polluted by other radioactive material, are being stored in huge tanks at the site on Japan’s northeast coast. A series of setbacks, including radioactive water leaks into the Pacific Ocean, have eroded confidence that Asia’s largest utility can tame the world’s worst atomic disaster since Chernobyl.